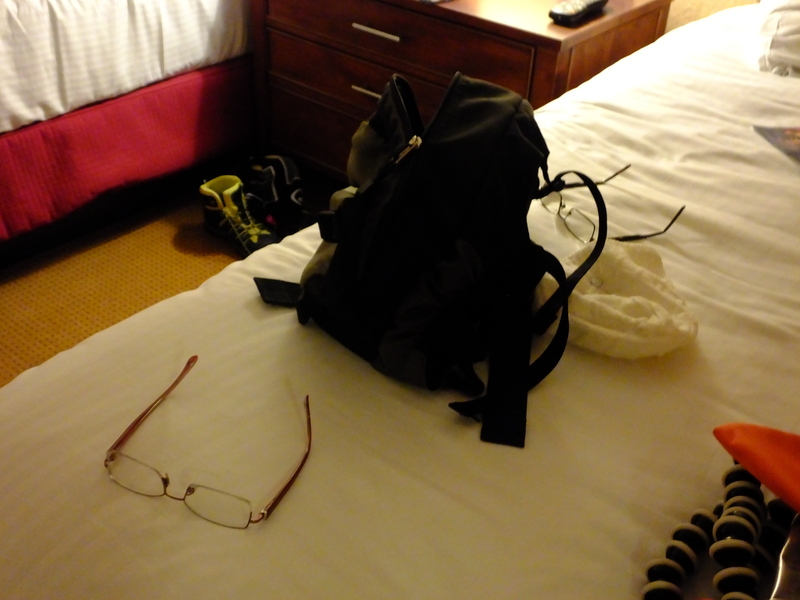 In the late afternoon, the perfect stranger and I arrived in the casino town of Laughlin. Harrah’s casino and hotel would be our base camp for the next three days. Where else can you shower, do laundry, and prepare gear for a kayaking trip for a mere $26 a night. 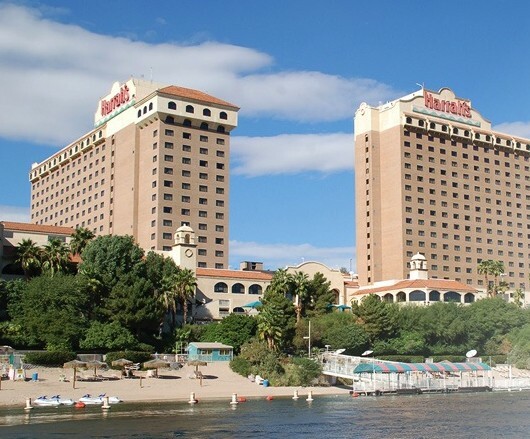 Laughlin is located on the far southern tip of Nevada, just 90 miles south of Las Vegas. Understandably, you won’t find Celine Dion performing here, nor can you expect to see a Cirque du Soleil show. However, it’s the lure of the Colorado River that attracts over 2 million visitors a year. 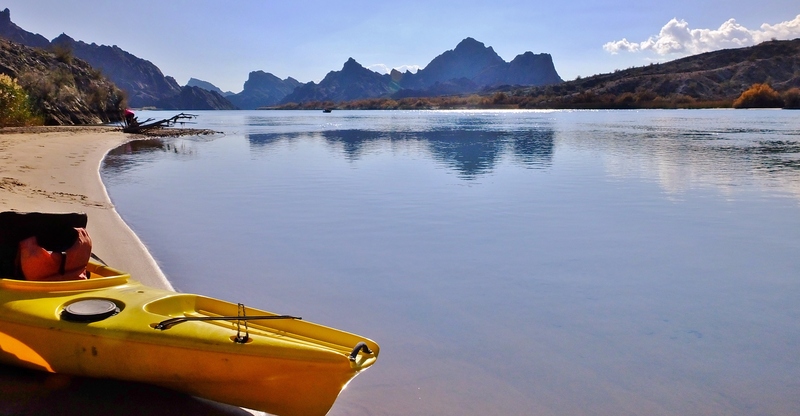 During the summer, Laughlin is considered a hot spot for swimming, fishing, and boating. The mild winter months offer a haven for traveling snow birds and pristine kayaking conditions for solitude seekers. Topock Gorge was my main reason for visiting Laughlin. The 16 mile paddle through a mountainous section of the Colorado River had been on my “to do list” for over a decade. Our launch site was only 40 miles south of Laughlin, making the casino town the perfect headquarters for trip preparations. Have you ever tried to navigate your way around a casino? Have you ever noticed the deliberate circuitous paths? Casino rotaries feel more like a corn maze than a pathway to a much needed shower. Have you ever noticed that most restaurants will be positioned in the center or at the back of a casino? Casino psychology is all about keeping you “in house” for as long as possible. 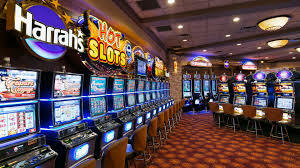 Have you ever found yourself lost inside a casino and your only support system was the poker machines inviting you to come closer in their loudest possible voice? Imagine if poker machines came with a silencer? Would you activate the quiet button, or does the constant noise create such excitement that winning at the slots seems possible? Have you ever heard the sound of losing in a casino? What if every loss was broadcasted over the casino P.A. system? How do we convince ourselves that winning is more common than losing? Is it the sirens or the sound of coins hitting the metal pay out tray that give us the impression that we too could win? It’s rather depressing watching people hunched over a slot machine. How can such a mechanical game invoke such concentration? How does one focus on winning at a slot machine? Is it a numbers game, prayer, or more active meditation? Could gambling be seen as a wealth building strategy? If so, does gambling offer hope to those who are struggling financially? Does gambling create more poverty among patrons than wealth? These are some of the thoughts that ran through my head while making my way to the hotel registration desk. Perhaps I should have been focused on my new reality; for the next few days I would be sharing a hotel room with the perfect stranger. This change in focus would only lead to more internalized questions. 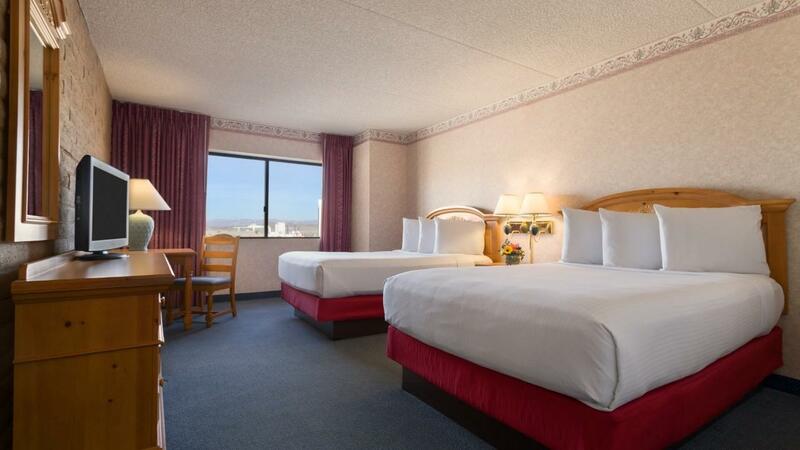 How do I transition from sharing tight sleeping quarters in a van’s cargo area to a large hotel suite? Is it more intimate to share a fully functioning bathroom as opposed to a parking lot porta potty? At what point did a simple adventure trip start to feel like a weeklong getaway with a potential future wife? Yes, I said wife, she made that much of an impression on my heart and mind! As we headed back to the parking garage to grab our gear, we found ourselves in silly playful moods. The shiny, slippery tile walkway made for a great break dancing floor. I couldn’t help myself, a knee spin was in order. On the return trip back to our hotel room, we played at the casino fountain. It has always bothered me that fountains tend to be gendered when it comes to urinating. I have always wanted to change that, so I did! What is the significance of water fountains at casinos, resort hotels, and gated communities? Does having a fountain create a sense of culture and credibility? Does it give a three star hotel a five star ambiance? Are fountains the equivalent to chandeliers in nursing home foyers? Does a fountain or chandelier guarantee better service? This would be yet another day the perfect stranger would be lending an ear to my endless questions about life, living, and the world around me. Fortunately we both consider ourselves nerds. Perhaps this is why I feel she gets me! This Post was posted in REMOTELEIGH and tagged casino, casino psychology, gambling, harrahs casino, laughlin, REMOTE LEIGH, topock gorge. Bookmark the permalink. I loved your blog….I love your wonderful adventure with a sweetheart….and a probable wife….two bright souls….What I dream for you is many more days of joy and adventure…and that sooner than later, you will be together for years to come…. And, Leigh, as you are…thinking and writing your thought ….are thought-provoking….you make me think about my on life and thoughts….I really appreciate your ability to write so brilliantly, though I shouldn’t be surprise….you are a geek, for sure….so bright….so able….